I work with cyclists from novice to club level to advance their lifetime fitness, endurance and wellbeing. My coaching is based on science-based workouts and conditioning sessions to help develop resilience and build peak competitive performance specific to their goals. Plans start with baseline fitness tests, with reviews to fine-tune duration and intensity, continuously optimising performance. I also offer cycling holidays in Alicante/Valencia region of Spain. My philosophy is based on science and data analysis. 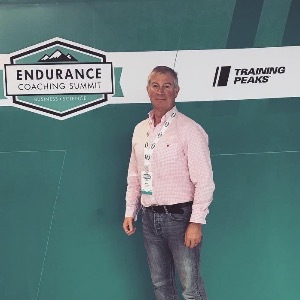 I use a combination of cutting-edge research, proven techniques, industry leading tools together with my own experience of several years of multi-day endurance events such as LEJOG, Calais/Montpellier and London/Paris, plus coaching of The Prince's Trust riders for the 2018 RAB. With these I develop challenging but achievable training regimes to get you where you want to be. I include workouts that build base endurance, combined with short but high intensity interval workouts to build muscular strength and improve FTP. I also include body conditioning advice, offering techniques that are required to ensure you have the correct range of movement and control within the range to ensure that you are able to maintain the right level of flexibility to reduce the chance of injury and avoid incorrect bike setup. I have been working with sufferfest.com to integrate their yoga sessions into my athlete’s training plans. Key to my philosophy is my own “workout recover adapt and perform” (WRAP) methodology so that you do not burn out or overtrain. Working with ithlete.com, I recommend the use of heart rate variability (HRV) measurements to ensure you never do a workout you are not physically prepared to complete and ensure you understand the factors that impact your freshness and readiness to perform. Using these technologies and methods I see myself as your enabler to achieve your health, fitness and performance goals. Success. Coach Grant Goodman has been notified of your message. To hire Grant Goodman as your coach, select the coaching service that is right for you.